Winter is such a breathtakingly beautiful time of the year, especially when it snows. We can’t help but be mesmerized as we watch the white glistening snowflakes sprinkle the treetops and blanket the landscape. Unfortunately, winter is also the most dangerous time of the year for driving. A wintry mix of ice and snow can turn hazardous and put you and your car in jeopardy. Let’s face it, our Canadian winters are brutal. Blizzards, ice storms, heavy snow accumulation and freezing temperatures mean that all-weather tires generally won’t cut it here in the Snow Belt. They’re simply not designed for dropping temperatures and slick road surfaces. That’s why snow tires are a wise investment, to keep you safe from treacherous driving conditions. Four snow tires are always better than two. That’s a no-brainer. It’s foolhardy to think that you can save money by only having two snow tires. Why? Because your tires will react differently if they’re not all the same. For example, with snow tires only on the front, the all-weather rear tires may still fishtail. Four snow tires work in unison to keep your vehicle under control. Studless or studded snow tires? Obviously, for optimum grip on the road, studded is always best for deep snow in the backcountry. However, today’s studless snow tires are high quality and should sufficiently provide you with the extra traction you need. Keep in mind that even with all-wheel drive, especially in the Greater Toronto Area, snow tires may still be necessary. Snow tires are specifically designed to push away the slushy mix of snow and ice. If you look closely at snow tires, you’ll notice open treads (versus closed treads on all-weather tires) and tiny grooves called “sipes.” These two features give you the extra traction you need to cut through winter’s snow. Snow tires may seem costly, but in actuality, they are generally mounted on your vehicle for up to five months out of the year. What that means is that you’re saving wear and tear on your all-weather tires during this time. Therefore, your all-weather tires last longer. Shop at #FormulaHonda for a complete lineup of tires to fit your every need. We know how harsh the winters are in the Greater Toronto Area, and we are proud to offer Honda’s Lowest Price Guarantee on all snow tires. Our Service department is standing by and ready to help you get ready for winter. Go ahead and sing, “Let It Snow!” — we’ve got you covered. 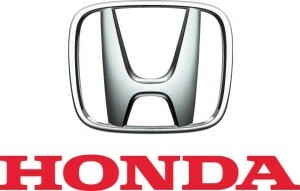 For all your automotive needs, visit our website at http://formulahonda.com.